Predatory attack on humans by dogs constitute a significant number of the estimated 4.5 million dog bites that happened in the United States on an annual basis. Predatory aggression is a scientifically valid type of aggression in domestic dogs, and it differs motivationally from the other recognized kinds of canine aggression. Occasionally in dog bite litigation it is useful for the animal behaviorist to opine as to why the subject dog attacked the victim, at least from a motivational point of view, and often this can best be done by using a descriptive diagnostic category, such as predatory aggression. Other kinds of canine aggression which may be used to explain dog bite attack on a human include such categories as fear-based, protection, pain-induced, and what has traditionally been thought as “dominance” aggression. Incidences of a predatory dog bite on a human usually happens as a result of a dog reacting to the sound, smell or movement of a potential prey object. The potential prey object does necessarily not have to be an adult human jogging or a teenager on a skateboard, but it can be an another animal or an inanimate object. For example, there are instances in which a fatal dog attacks have been linked to the high-pitched crying coming from an infant in a bassinet. Not all dogs react in similar fashion to stimuli which have the potential to elicit predatory tendencies; individual differences are pronounced, even between dogs of the same breed. Breeds which have been develop for herding tasks, such as border collies and cattle dogs, possess greater innate tendencies to display predatory like behavior in a given context when compared with dogs from other breeds. Animal behavior science tells us that canine aggression is contextually dependent, and predatory aggression is no exception. Below, I will delineate different contexts in which dog bite attack towards humans happen because of the dog’s predatory behavior. #1. Predatory dog bite attack towards motorcycles, bicycles, cars, skateboards, etc. Dogs with strong predatory inclinations may chase a motorcycle or a person riding a bicycle, but not necessarily be focused on the rider. Frequently a dog’s entire focus is on the moving object, such that the dog appears to become mesmerized by the moving wheels. During a predatory chase a dog may attempt to bite and nip the wheels. In situations like this, the rider sustains injury because of falling from the motorcycle in his attempts at evasion, and after the crash the dog may bite the victim. Whether dog bite injury happens is important from a legal perspective in those states which imposed strict liability on the owner for dog bite injury. Anyone who was ever jogged regularly usually knows that they may be the target of predatory attack, particularly when they pass by the territory of the dog. If properly confined, obviously the dog cannot chase and bite the jogger, but dogs who are highly motivated may find some way of escaping confinement for the purposes of attack. Joggers may carry deterrents, such as citronella spray, but for number of reasons (e.g. the direction of the wind) usually these are not effective in stopping highly motivated dogs. #3. Predatory dog bite attack on humans by roaming packs of dogs. A study published in the journal Public Health Reports in 1983 (Attacks by packs of dogs involving predation on the human beings; Borchelt, P.,et. al. 1983, 98, 57-65) clearly demonstrates the danger roaming packs of dogs present to the public. 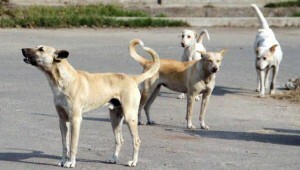 The study documents the results of investigation into of 3 attacks on humans by packs of dogs, two of which resulted in fatality to the victim. Still on the circumstances surrounding the attacks, the authors concluded that the likely motivation of the dogs involved the attack was predatory in nature, although they could not discount other kinds of aggression possibly coming into play. The predatory explanation was viable because in all cases the dogs consumed flesh from the victim. One case involved an attack by 6 household dogs on an 81-year-old invalid lady who lived alone. The dogs lived on one side of the house, separated by a fence , but on the day of the incident the fence separating the dogs from the lady had been displaced. Subsequent to the incident, all the dogs were available for behavioral testing by experienced PhD trained animal behaviorists. Results showed that when the dogs were tested individually each were docile, but when brought together as a group they acted aggressively towards the human tester. #4. Predatory dog bite attack on infants in swings. Predatory attack resulting in a dog bite fatality on infants have been described elsewhere on this website. Attacks like this have been documented in the animal behavior literature, and also in the popular press. One instance happened in California involving a 2 pound Pomeranian. Predatory attacks like this typically happen when the infant is sleeping in its bassinet or crib, and the family dog jumps into the bassinet and fatally attacks the infant. Typical animal behavior explanation is that the dog was stimulated by some sort of noise coming from the crib, whether it be squeaky sound from a toy or the vocalization of the infant. In one case, involving a husky, the dog was found to have displayed predatory tendencies to other animals prior to the attack.